WE ARE LOCATED 1/4 MILE SOUTH OF HALL RD, BETWEEN UTICA AND VAN DYKE RD, ON TRIANGLE DRIVE. WE ARE ACROSS FROM THE SMALL SHOPPING PLAZA. The Sterling Heights Social Security office is located in Sterling Heights 48314. The following page includes information for this location like the office phone number, hours of operation and driving directions. If you have any interests or comments about your retirement benefits or are interested in making an appointment, call the following Sterling Heights Social Security office. 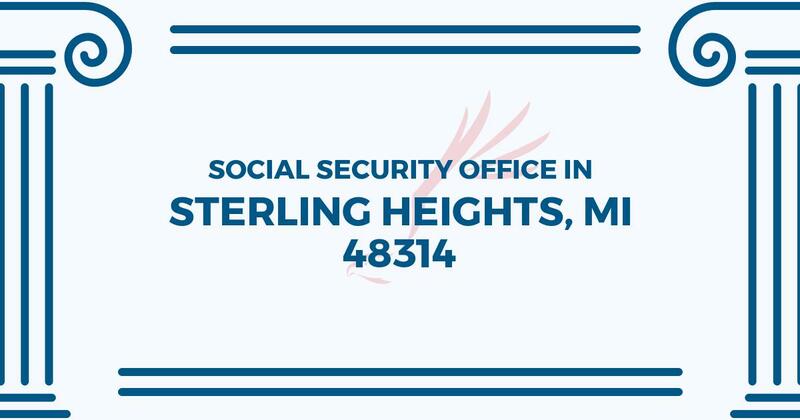 The Sterling Heights Social Security office is located at Sterling Heights 48314. The Michigan SSA runs a variety of federally run plans like retirement, SSI, Medicare and disability benefits. The following page contains essential contact information for this location such as the Social Security office phone number, hours of operation, and driving directions. If you have any comments or inquiries about your retirement Social Security benefits or interested in scheduling an appointment, call the following Sterling Heights Social Security office. Conveniently located; clean; comfortable and efficient check in process. I waited only 15 minutes. The counter representative was very friendly and knowledgeable. I went to the office expecting chaos so this was a pleasant surprise.